Edgewater Dental Group always appreciates feedback from our valued patients. To date, we’re thrilled to have collected 36 reviews with an average rating of 4.67 out of 5 stars. 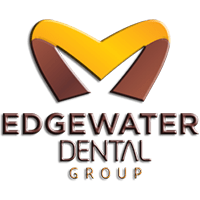 Please read what others are saying about Edgewater Dental Group below, and as always, we would love to collect your feedback. Excellent. Dr. Szilard and his staff are very professional. All the staff were very fulfill on my situation as well as very understanding About my TMJ issue as I have a great deal of pain in my Jaw it gets very tired very easily and also locks up on me and gets very sore. The Dr s was very understanding thank you all. She was awesome and very professional. Dr. Hermann and the whole staff are amazing! Excellent. Clear communication, high professionalism, courtesy. What a wonderful experience! I got in with an emergency tooth in pain today and was treated with such great care. Everyone was super professional and the facility is really well taken care of and clean. Actually, I saw Dr Desai and will be seeing Dr Hermann next week. I was really pleased with the treatment plan they proposed and am looking forward to a beautiful smile for 2019! The technician named Joe was outstanding, friendly and great to talk to. I have always been seen quickly at Edgewater Dental Group. The facilities are clean, the staff is kind & thorough. I was recently there to get a filling (never a pleasant experience) & was thrilled when they got me in & out in less than half an hour. They have also worked with me on financial stuff - I am a full-time student & can easily afford their reasonable prices. They print out treatment plans & set expectations for the prices of services before they are incurred. I would definitely recommend Edgewater Dental Group! I like the care l received from the team. I also like the environment. Thanks for all you do.